Hannah Arendt: "The problem of evil will be the fundamental question of postwar intellectual life in Europe — as death became the fundamental problem after the last war." After World War II, the worship of violence largely disappeared from European life. During this war violence was directed not just against soldiers but above all against civilians. And the utter exhaustion of all European nations left few illusions about the glory of fighting or the honor of death. What did remain was a widespread familiarity with brutality and crime on an unprecedented scale. In the aftermath of Hitler's defeat and the Nuremberg trials lawyers and legislators devoted much attention to the issue of "crimes against humanity" and the definition of genocide. But while the courts were defining the monstrous crimes that had just been committed in Europe, Europeans themselves were doing their best to forget them. Far from reflecting upon the problem of evil in the years that followed the end of World War II, most Europeans turned their heads resolutely away from it. The Shoah was for many years by no means the fundamental question of postwar intellectual life in Europe. 1 The worst wartime crimes against the Jews were committed there. There was a powerful incentive in many places to forget what had happened, to draw a veil over the worst horrors. 2 Many non-Jewish East Europeans were themselves victims of atrocities and when they remembered the war they thought of their own suffering and losses. 3 Most of Central and Eastern Europe came under Soviet control by 1948. The official Soviet account of World War II was of an anti-fascist war. The millions of dead Jews from the Soviet territories were counted in Soviet losses but their Jewishness was played down or even ignored. 4 After a few years of Communist rule, the memory of German occupation was replaced by that of Soviet oppression. Everything started to change after the 1960s. By the 1980s the story of the destruction of the Jews of Europe was becoming increasingly familiar. Since the 1990s and the end of the division of Europe, official apologies, national commemoration sites, memorials, and museums have become commonplace. Today, the Shoah is a universal reference. The history of the Final Solution, or Nazism, or World War II is a required course in high school curriculums everywhere. Hannah Arendt's prophecy would seem to have come true: the history of the problem of evil has become a fundamental theme of European intellectual life. 1 The dilemma of incompatible memories. Western European attention to the memory of the Final Solution is now universal. But the eastern nations that have joined Europe since 1989 retain a very different memory of World War II. Greater attention has been paid to the ordeal of Europe's eastern half at the hands of Germans and Soviets alike. 2 Historical accuracy and the risks of overcompensation. For the first decades after 1945 the gas chambers were confined to the margin of our understanding of Hitler's war. For today's students, World War II is about the Holocaust. In moral terms that is as it should be. But for historians this is misleading. 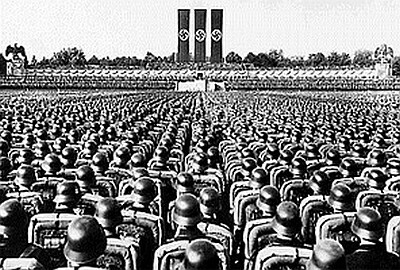 There were only two groups for whom World War II was above all a project to destroy the Jews: the Nazis and the Jews themselves. For practically everyone else the war had quite different meanings. 3 Modern secular society has long been uncomfortable with the concept of evil. We prefer more rationalistic and legal definitions of good and bad, right and wrong, crime and punishment. But in recent years the word has crept slowly back into moral and even political discourse. 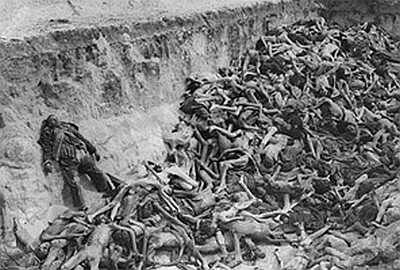 In recent years politicians, historians, and journalists have used the term "evil" to describe mass murder and genocidal outcomes everywhere. We have lost sight of what it was about twentieth-century political religions of the extreme left and extreme right that was so seductive, so commonplace, so modern, and thus so truly diabolical. 4 We run a risk when we invest all our emotional and moral energies into just one problem. Anti-Semitism, like terrorism, is an old problem. And even a minor outbreak reminds us of the consequences in the past of not taking it seriously enough. But anti-Semitism, like terrorism, is not the only evil in the world. 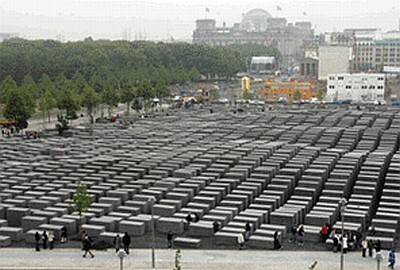 5 The relationship between the memory of the European Holocaust and the state of Israel has changed. Ever since its birth in 1948, the state of Israel has negotiated a complex relationship to the Shoah. On the one hand the near extermination of Europe's Jews summarized the case for Zionism. Jews could not survive and flourish in non-Jewish lands and they must have a state of their own. On the other hand, Israel's initial identity was built upon treating the Jewish catastrophe as evidence of a weakness that it was Israel's destiny to overcome. But today, when Israel is exposed to international criticism for its mistreatment of Palestinians and its occupation of territory conquered in 1967, its defenders prefer to emphasize the memory of the Holocaust. 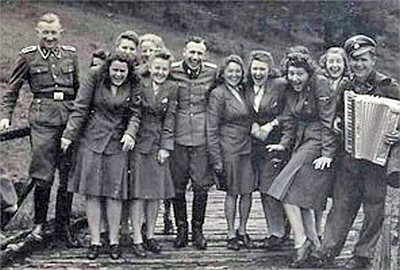 The problem of evil in the last century took the form of a German attempt to exterminate Jews. But it is not just about Germans and it is not just about Jews. The problem of evil is a universal problem. In short, the Holocaust may lose its universal resonance. We need to find a way to preserve the core lesson that the Shoah really can teach: the ease with which a whole people can be defamed, dehumanized, and destroyed. But we shall get nowhere unless we recognize that this lesson could indeed be questioned, or forgotten. There is more than one sort of banality. There is the notorious banality of which Arendt spoke — the everyday evil in humans. But there is also the banality of overuse — the numbing effect of seeing or saying or thinking the same thing too many times. The problem of evil remains the fundamental question for intellectual life. Most countries celebrate the best in their pasts. Germany unrelentingly promotes its worst. On Monday, Germany's minister of culture, Bernd Neumann, announced that construction could begin in Berlin on two monuments: one near the Reichstag, to the murdered Gypsies, known here as the Sinti and the Roma; and another not far from the Brandenburg Gate, to gays and lesbians killed in the Holocaust. "Where in the world has one ever seen a nation that erects memorials to immortalize its own shame?" asked Avi Primor, the former Israeli ambassador to Germany, at an event in Erfurt on Friday commemorating the Holocaust and the liberation of Auschwitz. "Only the Germans had the bravery and the humility." The study of Nazi Germany and the Holocaust is still haunted by questions about what kind of people could perpetrate such unspeakable crimes. Hannah Arendt observed that the heads of the SS death squads that conducted mass killings on the Eastern front were members of an intellectual elite. Christian Ingrao and others have concentrated on the SD, the intelligence arm of the SS. The SD was an extremely professional organization that attracted ambitious, highly educated young men and became a real academic force before serving as the vanguard of genocide. Ingrao finds that the dissertations of these young scholars betray a subtle politicization of research that began with the erosion of the boundary between intellectual inquiry and activism. With a broad mandate for surveillance and investigation, members of the SD followed the methodological dictates of the academic social sciences in which they had been trained to develop a dynamic account of German cultural and economic life. Operation Barbarossa and the Nazi invasion of Soviet territory saw a radical transformation of the agenda as the officers were sent to lead death squads on the Eastern Front. Participating in the drive east was ostensibly an opportunity to implement Nazi plans for the restructuring of lands and peoples on an unprecedented scale. The SD made an effort to explain how the SS operations were part of a plan. Ingrao treats violence as a system of performances and representations not reducible to the emotions or intentions of an individual or group of individuals. His aim is to show that the executions were codified rituals with carefully crafted gestures and procedures, all designed to lend the slaughter a veneer of inevitability while defusing the taboos associated with firing on unarmed women and children. AR The problem is a good one — worth the time of a serious philosopher.